The 2017 baseball season wasn’t quite two days old when we had our first “Time Play” confusion. When the third out of an inning is not the result of a force play and it happens about the same time a runner is crossing the plate, the plate umpire must decide “in time,” what occurred first-the third out or the runner crossing the plate. Often times the plate umpire must distinguish between the time of a tag vs. the runner crossing the plate while other times the plate umpire must judge the timing of a double-up third out vs. the runner crossing the plate. The term “Time Play” is not listed in the Official Baseball Rules. Rule 5.08 (a) comes closest. It reads, “A run is not scored if the runner advances to home base during a play in which the third out is made (1) by the batter-runner before he reaches first base; (2) by any runner being forced out; or (3) by a preceding runner who is declared out because he failed to touch one of the bases. In other words, a run is scored in all other conditions with the exception of the three reasons given in 5.08 (a). The Indians had Carlos Santana on second and Abraham Almonte on third with one out in the top of the third inning when Francisco Lindor flied to Jurickson Profar in left field. Almonte tagged-up and scored easily. Santana, apparently thinking there were two outs, took off on the crack of the bat and never tagged-up. Profar’s throw went to third baseman Joey Gallo who threw to Rougned Odor at second to double-up Santana for the third out. Because the out was not the result of a force out, nor did the batter (Lindor) make the third out of the inning before legally occupying first base, Almonte’s run counted because he crossed the plate before Santana was doubled-up. In terms of “time,” the run scored before the third out was recorded which was not the result of a force out. 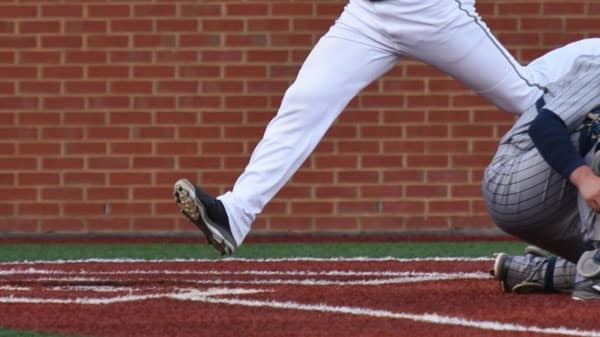 It should be noted that when a fly ball or line drive is caught, runners are never forced to advance because the batter-runner does not occupy first base which creates the force. It appeared that Banister did not understand the “Time Play” rule. He met with plate umpire Mike Winters for about three minutes. The discussion reportedly got a bit heated. The argument made no sense to me. If Profar quickly fired to ball to second base, Santana might have been doubled-up before Almonte crossed the plate. Of course it’s possible that Profar wasn’t aware that Santana had not tagged-up. In summary it appeared that Banister, and maybe Profar, appeared confused about the “Time Play” rule. Runners on first and second or bases loaded and two outs when the runner on first attempts to reach third base on a base hit (or error) with a runner crossing the plate. Still confused about the Time Play? Watch MLB umpire Ted Barrett explain exactly what it is using a real MLB play. This is one of hundreds of expert reports you’ll be able to access if you become a member! Take advantage of our Spring Special: only $29.95 plus three extra months FREE. Sign up here.